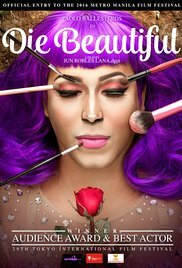 Die Beautiful, an independent film produced by Regal Films and included in MMFF 2016, lead by Paolo Ballesteros as he won as Best Actor and directed by Jun Robles Lana. 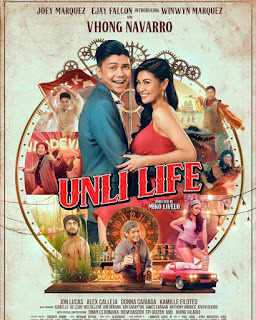 The story of the movie is about the deceased Trisha Echevarria (Paolo Ballesteros) life. Reminiscing memories during his funeral as his family, friends and those people who had an impact in his life visited him. It started when he was young, being gay in the family, where he was condemned by his father. He secretly joins gay beauty pageants and shows his creativity with his gay friends despite the disapproval of his father. He undergone struggles and was gang raped in his young age. As he move forward in life he had difficulty in reaching his dreams winning the crown in the prestigious Binibining Gay Pilipinas. He encountered discrimination from people, failed in having good relationship from men he met. But stills he have a good heart. He adopted a girl and treated her as his own daughter even pursue her to join beauty pageant as well.